Well, It’s arrived, and while it’s here a few years later than anyone expected it to be, it’s here none-the-less. We finally have a “Captain Underpants” movie in theatres and much to my surprise, it’s not half bad either. First printed in 1997 by author: Dav Pilkey and the popular US book distributor: Scholastic – this series of graphic novels were widely popular in North American elementary schools for years. Full of exciting adventures and loads of toilet humor – the majority of kids of that era (like myself) were hooked for many of their Elementary school years and for good reason too. These books were really fun and super easy to read and our parents and teachers didn’t mind all that much as they were just happy to see us kids reading and having fun while doing so. They rarely complained much despite the overload of silliness and low-brow humor which we were exposing ourselves to. Today, the original series has ended and the books are nowhere close to as popular as they once where but yet here we have this big screen adaptation playing across North America screens in a hope to bring some of these fun stories to cinemas and to seemingly inspire a new generation to seek out the source novels. A simply trip to any book store or local Walmart today will see that some of these books are once again back on the shelves in hopes of a revival and so I guess we’ll see what happens. George Beard (Kevin Hart) and Harold Hutchins (Thomas Middleditch) are best friends who spend their days creating comic books and dreaming up pranks. One day they accidentally hypnotize their school principal into believing that he is Captain Underpants, a dimwitted superhero whose costume consists of underwear and a cape. As if this isn’t bad enough, their newest teacher is a disgraced evil scientist bent on exacting his revenge at their school. George, Harold and Captain Underpants must band together to thwart his evil agenda. (Dreamworks). Thankfully, as mentioned above, this movie actually isn’t half bad. It’s a faithful and fun adaptation of the source material – offering just about everything you would get from reading one of these books as a kid. There’s the fun toilet humor, same lovable characters and a lot of fun to be had. Director: David Soren and team even manage to incorporate a famous Flip-O-Rama scene in here as well as a fun nightmare sequence narrated by George and Harold as sock puppets. The animation is great here – nailing the fun look and the feel and different styles from the books and the voice acting is spot on here as well. Kevin Hart (George), Ed Helms (Captain Underpants), Thomas Middleditch (Harold), Nick Kroll (Professor PoopyPants), Jordan Peele (Melvin) and Kristen Schaal (Edith – the Lunchlady) make up the cast and they all voice their characters to perfection. As someone who read the books as a child, it really feels as though they got the casting and animation style right here as well as the fun tone. It certainly left me with a nostalgic feeling from beginning to end if nothing else. Moving on, the run-time is short and sweet at 89 minutes and the film never drags as a result. It’s the perfect run-time for a kids movie and it’s more than serviceable as such. Parents who get dragged along to a screening should easily find enough entertainment where as they won’t be bored throughout. Sure, It’s humor (like that of the source material) is aimed strictly at it’s target demographic and as a result, anyone over the age of 10 won’t get many laughs but that’s okay as the fun and charm of the film should win most over anyway. Likewise, there are some important messages delivered here as well with the standout being one about the importance of arts and creativity in the school system and how kids should have a right to use their imaginations in the classroom. In terms of actual flaws, I can’t think of many. This film isn’t great and it certainly doesn’t standout as one of the best animated films of the decade or anything like that but for what it is, It’s more than serviceable. I’m obviously out of the target demographic and so I didn’t find myself laughing at the toilet humor but I would be lying if I said that I didn’t have some fun with the film as I certainly did. Would I watch it again? Probably not anytime soon but I’m sure that most kids who seek it out will want to do so as soon as they can own it at home. With that said, however, I am definitely open to a sequel if a decision is made to turn this into a franchise at some point. So long as the same care and craft Is put into it, these films could only get better from here. From what I remember from the books, things only get crazier with every installment. 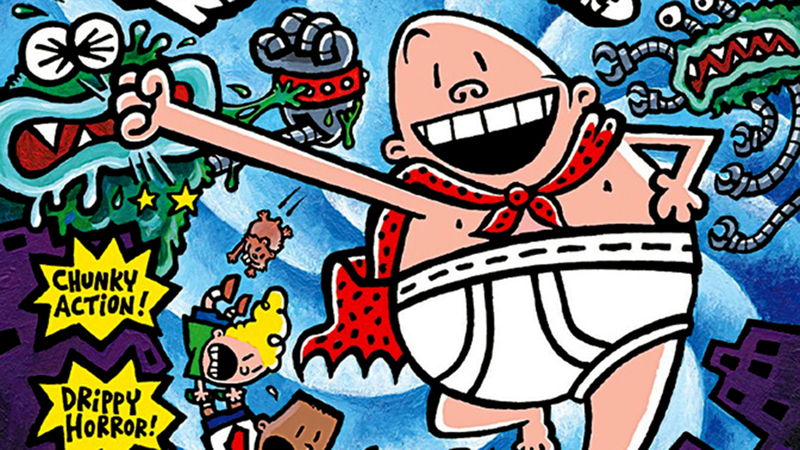 “Captain Underpants: The First Epic Movie” is a breath of fresh air that I wasn’t expecting. I wasn’t impressed with the trailers and I was honestly expecting the worse with this one but it’s surprisingly a faithful and fun adaptation of the source material at hand and it works. They nailed the voice casting here and the animation style is actually faithful to that of the graphic novels for which it is based. Likewise, with a mere 89-minute run-time, the film never drags or overstays it’s welcome. It’s short and sweet but that’s perfectly fine as it’s fitting for the material. The movie provides a solid 89 minutes of entertainment and I’m sure that most kids who see it will have a great time with it. As an adult, I’m definitely out of the demographic for this one but I still had a pretty good time with it’s goofiness none-the-less. If you have kids who are interested in checking this one out – I would say – go ahead.